Chinese Plywood Makers Guilty of Dumping says U.S.
Furniture Brands bankruptcy, which lists hundreds of suppliers as creditors, finds a company that will make good use of the reorganization imposed on it by creditors and the courts. The parent of Thomasville, Broyhill, Lane, et.al. may never have completed its integration of these powerful brands. Now they can finish the task. While commentators critiqued the $5 million that Furniture Brands wants to set aside for retention bonuses and performance rewards, these are standard operating procedures in such Chapter 11 undertakings, and are magnified only because of the large size of the residential furniture manufacturer. "There are several U.S. [wood industry] companies in the [1700-page] debtor list although much farther down the line in debt size than the Chinese companies listed or the freight haulers. My company (in N.C. for over 50 years) stands to lose a pretty good sum. Although we don't like it we can weather the loss. "The one's who can't are the American workers who have been tossed aside over the past 20 years and now most recently at Lane. Until Americans begin to demand U.S. made products and reject imported crap this cycle will continure to repeat itself. All the corporate monster recognizes is $. Stop buying their imported stuff and move our money to those who manufacture here and the trend may begin to reverse itself. Believe it or not, there are still a lot of companies building furniture in the US at affordable prices." Furniture Brands bankruptcy, with valuable assets like Thomasville, Broyhill, Henroden and Lane on the docket, drew a competing bid. KPS Capital Partners says it will offer $166 million. Furniture Brands also seeks $5 Million for Exec bonuses. What Makes a Good Crotch Wood? Every log has wood in it somewhere that is at least a little irregular. You just need to know where to look. One place that holds a lot of promise is the crotch area. RSI Professional Cabinet Solutions (RSI PCS), expanding its European-inspired frameless cabinetry operations, named Nick Magee to General Manager Northern California. Since making the first veneered maple desk in 2009, J. Alexander Fine Woodworking's Jared Patchin has received several requests for the piece. Here Patchin details the making and updating of the veneered maple desk. New Jersey boardwalks in two seaside towns were destroyed in a devastating fire. The wood structures were rebuilt after being damaged by Hurricane Sandy. OSHA is visiting wood operations of all sizes to check for combustible dust related issues. Here is what you need to know. Newell Rubbermaid Inc. sold its hardware for cabinetry and casegoods businesses - including Amerock, Ashland, Bulldog and Shur-Line brands - to Nova Capital. Retaining Irwin, Lenox saw blades, Rubbermaid Closets. Leedo Cabinetry launched a program to provide real-time field updates. 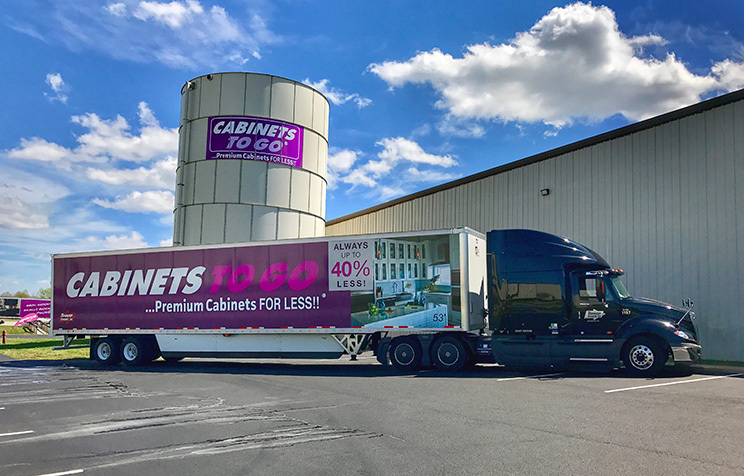 Written by its IT department, it allows Leedo cabinet installation services teams to get instant status updates on customer projects across the country, says CIO Darryl Preen. 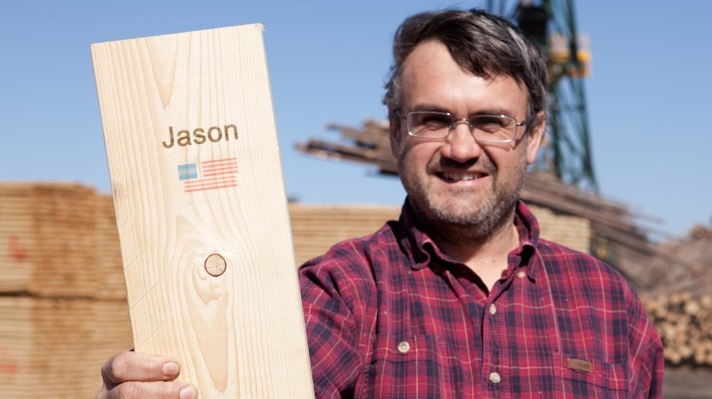 Placards and media help promote Vaughan-Bassett's wood products manufactured in the USA.Wood is sourced as locally as possible. More than half (51.6%) of North American wood products firms saw sales resurge last year, and 92.2% expect growth for this year, according to data analysis from the WOOD 100 for 2013. Hardwood flooring demand and pricing has surged higher in 2013 partly due to price increases from Armstrong Flooring Products and Mohawk Industries. 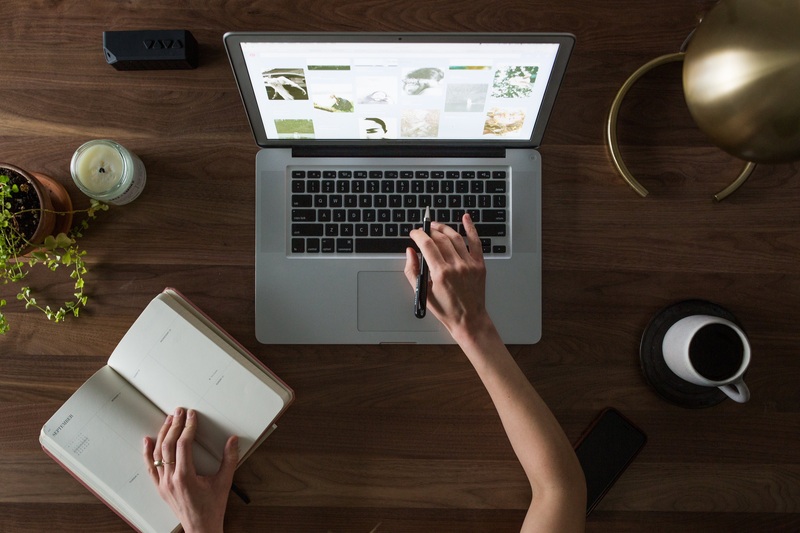 California Closets CEO Bill Barton talks about the impact marketing agency iSearchMedia has had on the home storage franchise business lead generation.